We have some exciting additions for you this week! New backgrounds have been added, BUT you can also now add your own custom backgrounds too! 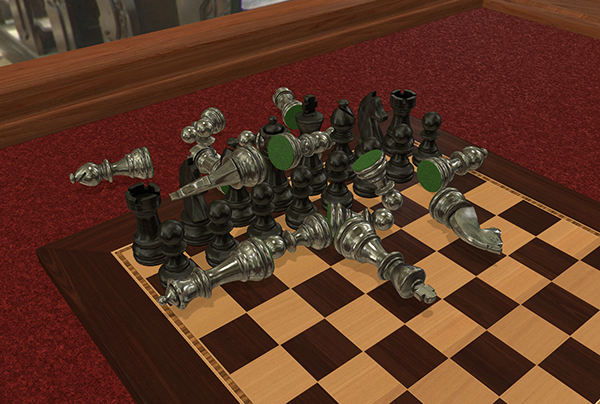 Additionally, we added Semi-Lock, which will enable you to play without worrying about accidentally knocking pieces over. Hope you enjoy these new features in addition to the overall fixes and improvements as well. 4 new backgrounds been added: Cathedral, Downtown, Regal, and Sunset. 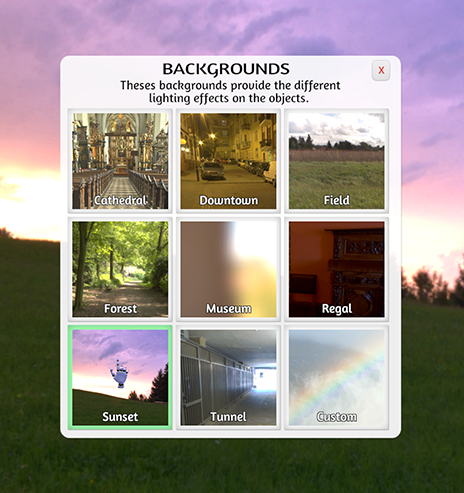 You can now import your own custom backgrounds (Lighting is not affected by custom backgrounds, only the skybox). Custom background images should be hdri panorama images >4000×2000. Choose the backgrounds’ lighting you would like first then choose Custom. Semi-Lock causes objects that have come to rest to be semi-locked in place (can still be picked up but ignores physics). This means you can’t accidentally knock over objects without direct manipulation with Semi-Lock enabled. Semi-Lock can be found in the Host Options menu. Loading save files will be much faster after the first load (Workshop and Normal Save). More error checking to avoid one bad save breaking the ability to load other saves. Optimized GUI scrolling for Workshop and Save Files. Custom objects and decks will no longer fly all over the place when loaded up fresh. Added a spinning loading icon for the server browser so you know when it is fetching servers. Added red private text header when in the private notepad. Fixed an issue where custom objects were loading up the wrong texture. Fixed the back of the quarter being rotated incorrectly. Fixed flip/rotate on certain objects that would cause them to fall through the table. Fixed issues uploading or updating to the Steam Workshop when nothing would happen when submitted. Fixed typing + or – in a text box would also scale selected objects. Fixed custom model importer type selection not working properly. Fixed multiple command lines breaking the Workshop downloading. Fixed some missing radio button not being converted from checkboxes. Fixed hover highlighting working over GUI when holding down your mouse button.